This is my HP entry into the Mini Simmons market. Narrower nose with my Lowest entry + nose kick. 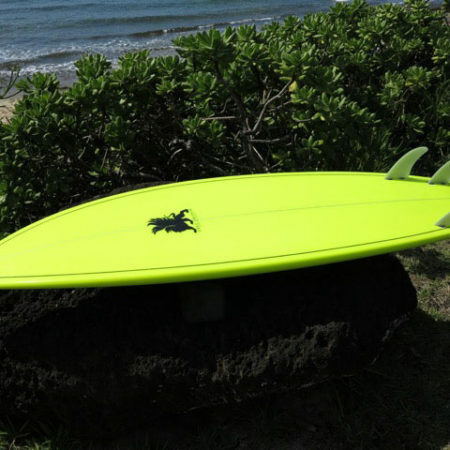 Designed to use my Tri Fin set up which allows this wide tail ride almost short board like. 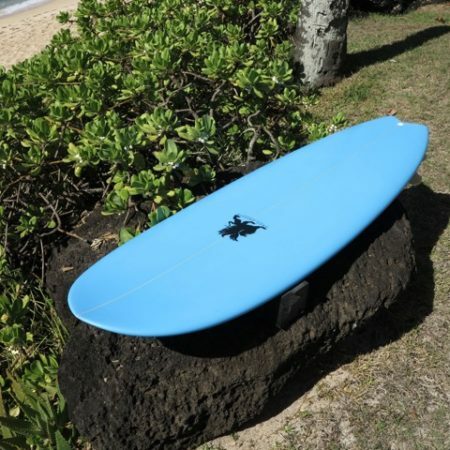 Available with my suggested Tri Fin set up, Keel Fin or Twinzer . Catch anything that moves even on the smallest days. 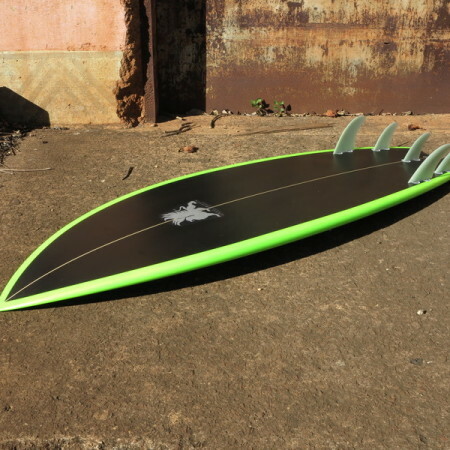 This super groveler takes design cues from the modfish adding wider tail and nose, 18” wide tail ,. 12” wide at the tips, to maintain paddling ease and perform on the low end. 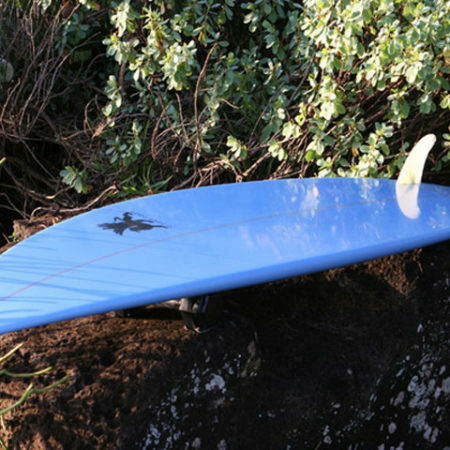 The inline tri fin design is unlike any other fin setup out there and produces a hover effect that cuts through the water keeping the board fast and loose. 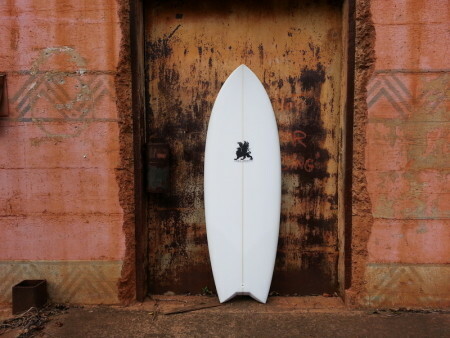 Recommend ordering this board 6-8 inches smaller than your height. Can be sized up for the larger surfer or those wanting more volume.